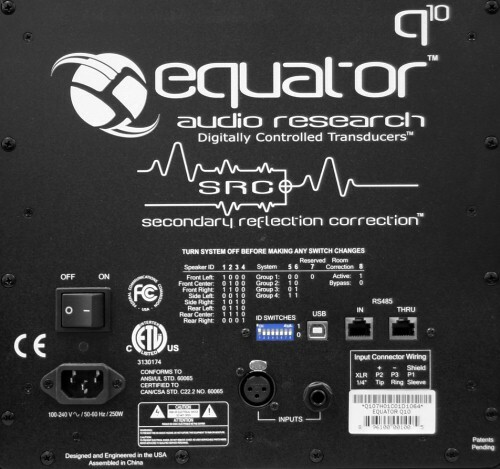 Equator Q10 studio monitors belong to the highest category of professional speakers and offer a number of interesting design innovations. The compression horn driver allows for higher sound pressure level comparing to traditional transducers. At that HF and LF axes are combined for improved imaging. L.F. Driver VC Size: 3"
In multi-channel configurations monitors are connected with a usual twisted-pair cable for centralized controls. One of the monitors is connected to a PC via USB. Each monitor has jumpers allowing to set its ID. 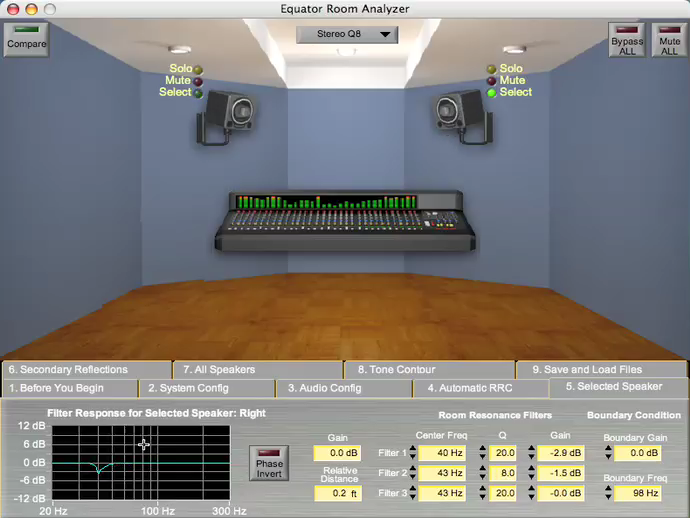 Besides, each monitor features a DSP that enables to compensate existing sonic conditions either automatically or manually. At the manufacturer's website there is a user's manual and a video explaining operation of the optional software. 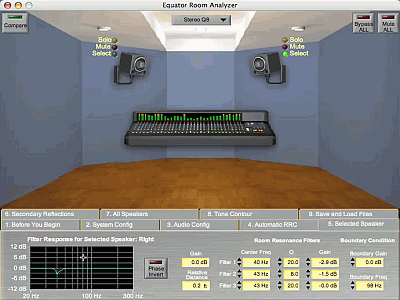 The most interesting is that the advanced version of the Equator Control Panel provides for correction of early reflections. This is based on National Instuments libraries, a de facto standard for automated systems. According to our tests, the mic from the optional Room Analysis software/microphone kit has a frequency range of 20 Hz - 20 kHz and nonuniformity of 0.5-1.0 dB comparing to Earthworks M50, a reference measurement microphone of the highest price bracket. 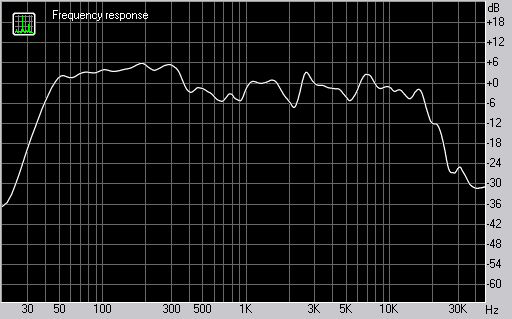 This chart shows monitor frequency response measured with the Earthworks M50 mic in the near field. 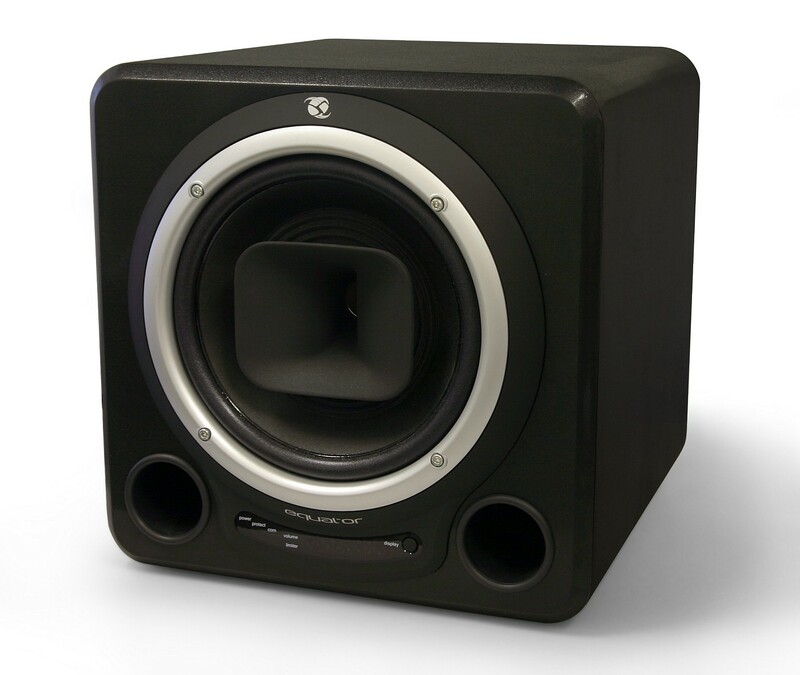 Unfortunately, frequency response doesn't help to understand monitor sound quality. Besides, in the midfield, geometry and room conditions have a significant effect, so means of compensation will come in very handy. 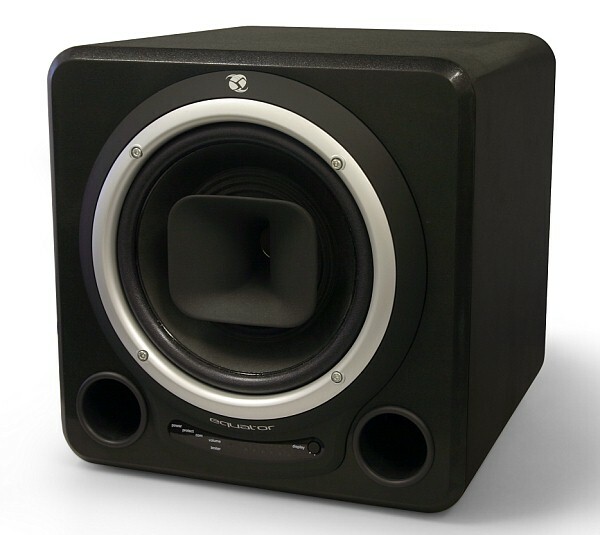 In terms of aural perception, monitors made a good impression, LF range being their best. Advantages of proprietary twitter innovations show at high volume levels. Capability of working in 5.1 to 8.2 multi-channel configurations with convenient centralized controls. These monitors are an optimal choice for large video post production control rooms. Midfield is their optimal application.